We have developed our Strategy which saw investors through the last decade into the Diversified Core Strategy. Based on our top down view of the World, both geopolitical and macroeconomic, it uses bonds and equities, hybrids between the two, foreign currencies and overseas markets to seek stability. Its diversification will be constantly monitored and modified to give the best chance of capital preservation. 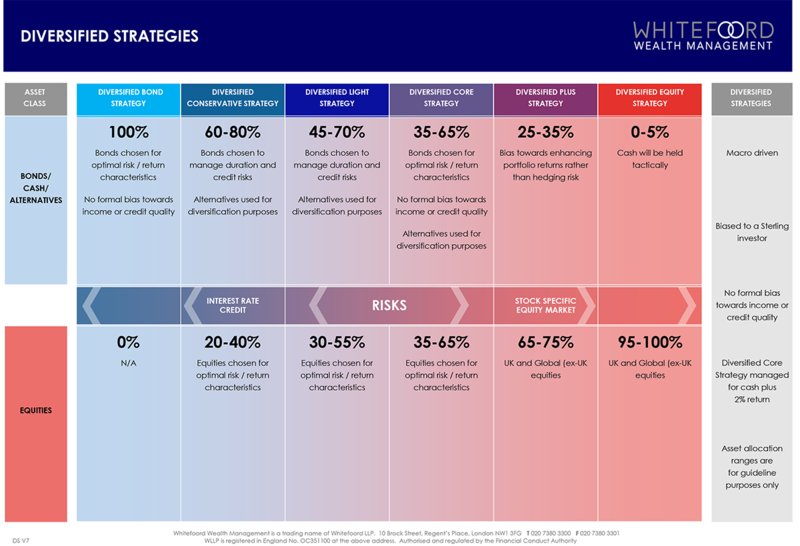 A whole family of Diversified Strategies has been created based on the core holdings and Strategy embodied in Diversified Core. It offers options for investors with more or less appetite for the relative risks and returns offered by equities and bonds. Having chosen Whitefoord for its top down approach, the investor will be able to select the most suitable Diversified Strategy. As circumstances and attitudes change, the investor can move seamlessly and economically between the Diversified Strategies. 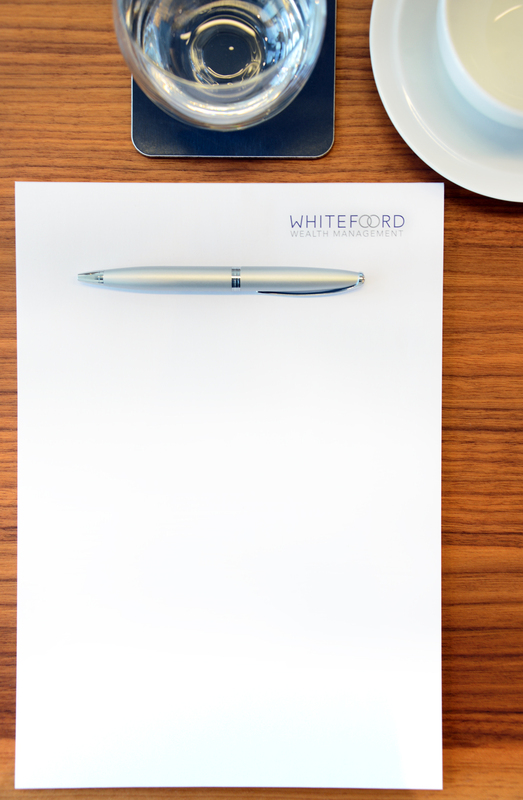 Sensitive to the costs of switching Strategies Whitefoord will waive its own charges on sales or top ups of existing holdings to migrate between them across the Diversified Strategy range. There will, of course, still be third party costs (custodian and market brokers) and, where appropriate, taxes and levies. Whitefoord charges will only be applied on purchases of new investments. However, with all the investments that we use the value of the investments and the income from them can go down as well as up.